This book can be purchased at amazon in paperback and kindle. Click on the title in the description section. 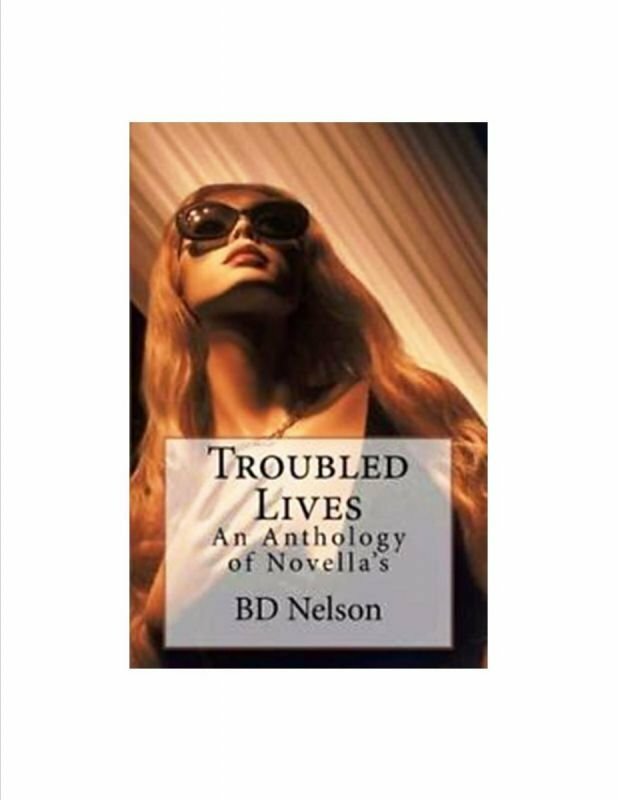 Troubled Lives is an Anthology of six of BD Nelson’s Novellas written over the past twenty years and carefully selected from a large collection. These six focus on people faced with various trials in their lives, some overcome, others are not so lucky. • An Unforgiven Sin A young couple’s painful recovery after a tragic accident claims their child’s life. • Bridled Secrets Burdened with a family secret Barbara flees her hometown vowing never to return until a tragedy beckons her return. • Tomorrow’s Dream Go inside the mind of a woman who suffers from a disease faced by millions. This one is a tear-jerker. • An Unsettling Justice A short version of the novel ‘Scorned,’ focusing on the heart-wrenching story written by a character in the novel. • Jennifer Walker After she’s beaten and left for dead, Jennifer finally seeks help. But just when her life is finally coming together she’s faced once again with her attacker aiming to kill her and anyone who gets in his way. • Conundrum A local prostitute finds a small boy crouched in an alley next to a dumpster scratched up, muddy and unable to speak. She delivers him to Sister Ann who takes him under her wing unaware that the boy’s fate will follows him.